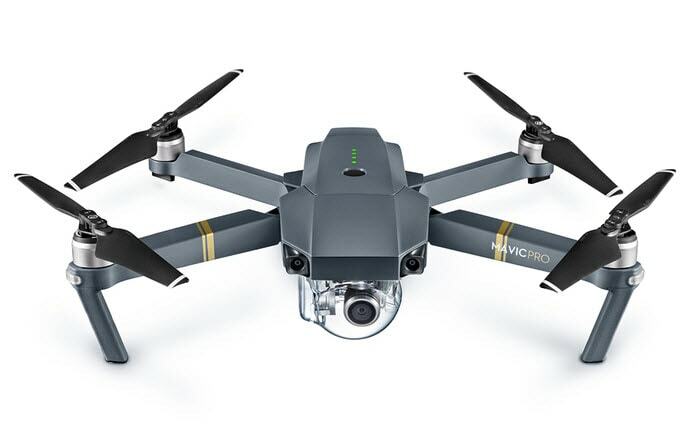 DJI Mavic Pro is well known as a tiny yet impressive quadcopter unit that also contains a small camera unit. The manufacturers of this drone series are well known for their affordable collection of drone with feature rich platform and they can offer lots of benefits to every user. You will be able to enjoy decent flight time with its long range type remote control and the live video feed feature will assists users in viewing live preview on their smartphone screens. It offers 4K stable recording with its portable package. Below is the complete review for DJI Movic Pro, check it now to see the wonderful features it has brought to us. This tiny camera unit is called as brilliantly portable product. It offers 12Mp resolution level for stills whereas 4K footage is rated to occupy highly crystal clear details during flight shooting. It offers decent flight time. There are loads of advanced flight features. Stills suffer little distortion in low light conditions. The sensors are very close to ground level. 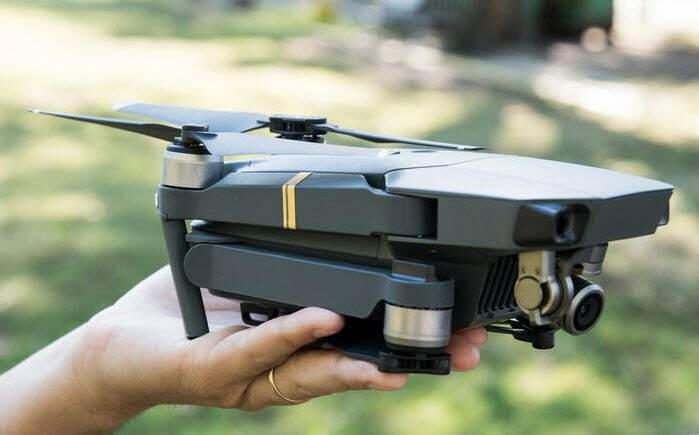 If you need a flying camera unit that does not fail in terms of battery life and video quality then it is good to spend money on DJI Mavic Pro. It offers amazing image and video content quality in air. The best part is that all such incredible features are available with a small price tag that even beginners can easily pay. It is one of the most useful and best drones with advanced safety features and agility. This device is well known for its foldable, compact and easy to transport design. It offers 40 Mph top rated speed for flights. Equipped with advanced vision positioning, Glonass and GPS system. DJI Mavic has ability to capture videos at 4K resolution level whereas images can be obtained with 12MP sensor. It can stay in air for 27 minutes whereas maximum range coverage is 4.3 miles only. You will love to explore its automatic landing and take off functions. It can be called as a best build design that has sturdy, tough body with rich feature set inside. The surface is brilliantly designed with lots of controls but it still forms a small size that can reside inside your purse during your tours. It has a clever hinges mechanism along with foldable arms that can help to make it too small after packing. Although, it is a tiny drone but still it offers impressive battery life that can monitor your flight times easily. DJI Mavic offers total flight time of about 24 minutes but with its aerodynamic design you can easily spend about 27 minutes in air. The drained battery of this little drone will need about one hour for complete charging and then it will rise up powerfully to serve you for air flights. This drone is designed with advanced collision avoidance feature that will automatically come into action whenever you drone start moving it in small areas around other objects. 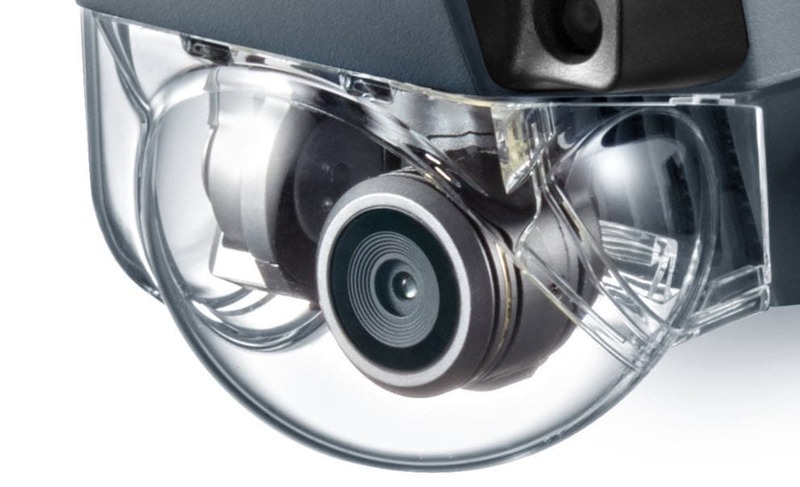 All the sensors help it to form a crystal clear path that leads to decent movements and in air stunts. Right from the take off position up to the landing mechanism, your drone will stay safe with its study body and hard to hit design. DJI Pro is rated as one of the best quads in terms of impressive flight performance. All its motors are powerful enough to support in air operations with high stability. It stands first in terms of agility and speed where you can avail 40 miles per hour range for speed during flights. Most of the flight modes are same as that of DJI phantom series but you will find few extra with impressive functionalities. The flight as well as range features of DJI Mavic are notable. This device possess latest OcuSync feature that is well known for offering great video transmission abilities. The maximum control range of Mavic is as high as up to 4 miles so it can meet your sports needs easily. Its intelligent flight modes assists in better control in flight time movements: you can easily switch between Gesture mode, terrain follow mode, Course lock, way points, point of interest and follow mode. This device is able to shoot videos with 4K rating and all the details are fine tuned with its 12.7 MP sensor. The burst shooting mode and exposure bracketing shooting options are added whereas the 3 axis type gimbal support makes camera more stable during air moves. This drone is good for indoor as well as outdoor in air shooting where gestures can be easily adjusted from software control buttons. The 4K videos can be switched between different frame rates as 960 fps on 1080p resolution and 30fps is available for 4k users. 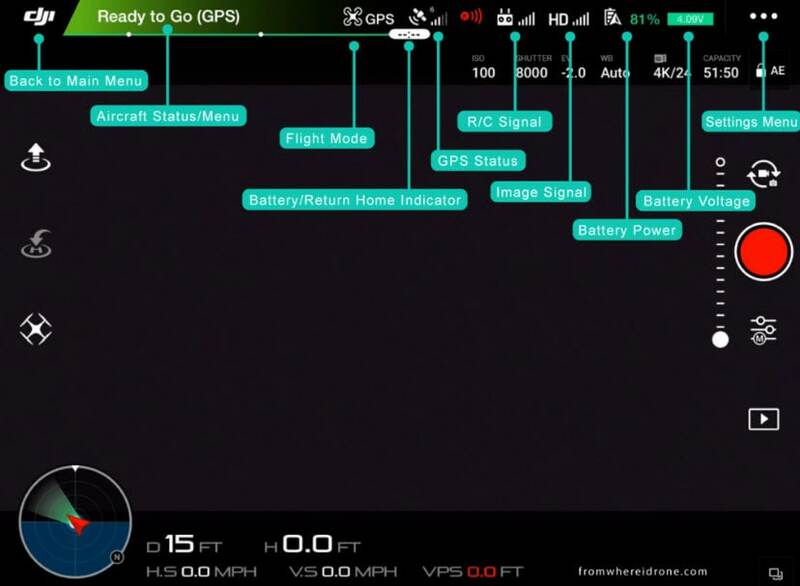 The feature rich DJI Go mobile application assists users in easy settings for all features. App is connected via Wi-Fi support and it offers so many intuitive controls up to wide range of movements. When your drone is in air, you can easily send all useful commands from your application and best part is that it is also possible to have live view of things happening in air via mobile application. The DJI support application is updated time to time with all new set of features.